The Economic Tyre : The ideal tyre for drivers, who appreciate a reliable tyre with a good balance of quality and value. The GreenAce combines excellent handling characteristics with comfort and reliability and is characterized by a long service life. Perticularly suitable for the demands of everyday use Reinforced bars in the shoulder grooves for perfect stability & reduce tread squirm. 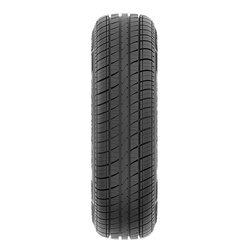 Optimized tread pattern for high tyre mileage ("Bolt" design) Long mileage and multi directional profile helps deliver superb dry handling while maintaining wet handling.